UltraTech Drain Guards Keep Sediment And Other Pollutants From Entering The Water System. 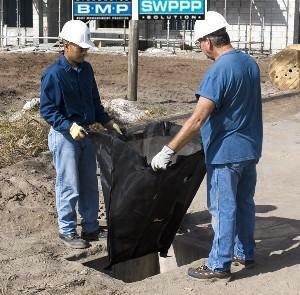 Helps comply with NPDES, 40 CFR 122.26 (1999) When Used As Best Management In Storm Water Pollution Prevention Plans. UltraTech Drain Guards 9217, 9218, 9356 Oil & Sediment Keep Sediment And Other Pollutants From Entering The Water System. Price Shown For 9217. PLEASE CLICK ON IMAGE FOR ALL PRICING. UltraTech Drain Guards 9219, 9220, 9358 Oil & Sediment Plus Keep Sediment And Other Pollutants From Entering The Water System. Price Shown For 9219. PLEASE CLICK ON IMAGE FOR ALL PRICING. UltraTech Drain Guards 9227, 9229 Keep Trash & Debris From Entering The Water System. Price Shown For 9227. PLEASE CLICK ON IMAGE FOR ALL PRICING. UltraTech Drain Guards 9340, 9341, 9342 Dirt & Sediment Capture Dirt & Sediment. Price Shown For 9340. PLEASE CLICK ON IMAGE FOR ALL PRICING.